Reclaim Your Health Your Way... you Can! Health starts from the inside. 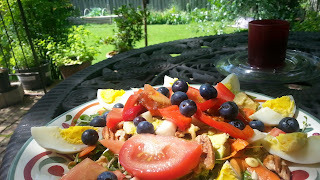 You are what you eat learn more about how simple recipes cand help you heal. Good health starts with a healthy tummy. Find out more about Natren. Need a natural perspective on attacking your cold? No gluten (respiratory). No dairy (mucus). No sugar (yeast/bacteria). Lot's of hormone/gmo/pesticide/cage/grain 'free' bone broth. (Preferably bird). Good time to heal the lining of your gut try to avoid drinking alcohol:). If you have it as soup, NO noodles and no meat while you're sick. Let your body focus on healing. And unless you have pneumonia, you DON'T need antibiotics. They do more bad than good in this case. You can always Google the difference between bacterial and a viral infections. Been studying a bacteria called Mycoplasma since Sept. last year for 1-3 hours a day trying trying to make sense of a very complicated little bug responsible for so many illnesses(including the common cold) and like the legal and tax code, microbiology is very complex. Working on laying it out in an easy to understand language in a website called MycoplasmaInfection.org coming very soon. Strategic protocols including antibiotics are needed for each individual strain so the global market for Mycoplasma testing is growing at a staggering pace as people with Cancer tumors, Lyme, Gulf War Syndrome and neurological disorders discover that this little bug is quite possibly a culprit. There's a plethora of antibacterial herbs in capsule form and tinctures I would recommend but so far olive leaf seems to be the kryptonite for Mycoplasma. Disclaimer: The entire contents of this website are based upon the opinions of I'm Holistic, unless otherwise noted. Individual articles are based upon the opinions of the respective author, who retains copyright as marked. The information on this website is not intended to replace a one-on-one relationship with a qualified health care professional and is not intended as medical advice. It is intended as a sharing of knowledge and information from the research and experiences of I'm Holistic. I'm Holistic encourages you to make your own health care decisions based upon your research and in partnership with a qualified health care professional. Today my friend with ALS is feeling twinges and twingles in her muscles... she is moving her left and right arm and pushing with resistance.. all things that she has not done or felt for 9months now. Why is it happening? PT is baffled, stating that she has never seen anyone with ALS get muscle strength back... She is clearly getting hers. Everyday she gets a little stronger. There are many things I feel attribute to her getting better..
4. Herbs - Dandelion, Pau D Arco, Licorice Root, Marshmallow Root, Fenugreek, Thyme, Ashwagandha, Elderberry, HuZhang, Ginger and Cloves. 6. Water - Espere filtered - RO oxygenated and concentrace minerals added 50% of your body's weight in ounces daily. Clean diet, 90 essential nutrients, essential fatty acids and a higer ORAC score are all things that we believe are helping. We tweak the diet based upon what she needs more help with. Just diagnosed with Alzheimers or Dementia - what if it were reversible? Centrophenoxine - Dmae combined with a plant based growth hormone. Helps your cells flush the proteins making your mind sharper. Add 4 -10 poached eggs or sunny side up (pasture raised eggs, not fed grain ever = gluten free eggs). As Seen in a new DocuSeries, "Awakening Alzheimers", event where Doctors and researchers have now shown thru 12 videos that Alzheimers and Dementia is really Diabetes of the brain or Diabetes III. 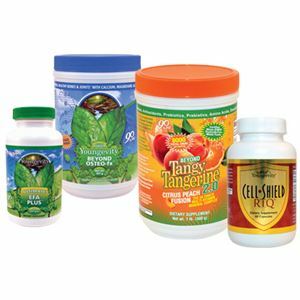 After running clinical trials, in an effort to understand what foods are the best to eat, what supplements are helping, and what to avoid, they found that with the proper nutrition and supplement support, many have been able to reverse the disorder. You can fast track and get your mental focus back while healing your body quicker by changing your lifestyle, removing items that could be bringing you harm and adding a nutritional plan that covers the 90 essential nutrients we all need to function and heal. Keep a journal, what did you eat, how do you feel daily. Go slow add 1 new supplement at a time for at least 3 days before adding something else so you can observe how you are feeling, keep track and watch the patterns to determine what is working and what is not working. The truth - there are no cheat days if you really want to get well. Get serious, have fun and create a plan that works for you. Vegtables anything Green have as much as you like. Add other kinds of veggies as accents or enhancements. 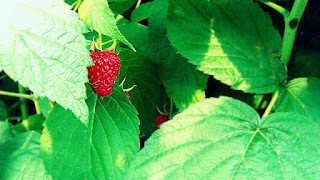 Load up on the Spice: Great Antioxidants!! Cook Veggies, Fish, Eggs in water on Low - 3 only add Raw Butter, Ghee, Coconut Oil, Olive oil, or Hemp Oil after you are done cooking. Eat Raw Veggie shakes (1) Daily - Add 3 Greens (1-2 of ea)(ie: Kale, Chard, Dandelion or Broccoli), add 1 whole Lemon and peel or 1 whole Lime and peel, Jarrow Whey unflavored 1 scoop, Ashwaganda 4 caps, Green Superfood 1 scoop, 1 scoop of Chia Seeds, 1 scoop of Hemp protein, 1 tsp of Flax Seeds, 1 tsp of Braggs Apple Cider Vinegar, 1/2 a granny smith apple, pink himalayan sea salt, trace minerals, a little water. Blend till somewhat smooth. Serve. Low Glycemic 4 grams of sugar or less. Cut back - - Cut out medications - wean off with a Dr's Help as you clean up your lifestyle and find alternatives to help you naturally heal the need for these pills should hopefully go away. focus and energy. Protects mitochondria Prescription needed. Generally prescribed for Depression and Parkinsons, is now known to help patients with Alzheimers or Dementia. Detoxadine from Global Healing Center - 1 drop twice daily can really help with your thyroid, adrenal and energy. Add 1 thing at a time and allow for 3 days between each. Exercise - Movement - Do what you can. Water (3 qt - 1 gallon of pure water) Today's water is loaded with toxins, pharmceuticals and bacteria. Get an Alex Pro, Espere or something comparable that can remove everything including Fluoride and other toxins. RO/IO, Distilled, Well or Spring Water is best. Avoid Dasani, Nestle, Pepsi, Coke water or any company that shows anything other than water in the bottle. Get Tested - Blood - Do You have? HAVE YOU CHECKED YOUR TESTOSTERONE & THYROID LEVELS? Take the titers test to determine which antibiotic will be effective. Many mass market shampoos, deodorant, cleaners contain (phalates), sulfates, petroleum from crude oil, oil from cow blubber, gluten, aluminum and dyes. Look for product's like Dr Bronners, Castille, Bio Kleen, Jason's, Tom's and cleaners that our plant based oils and enzymes. Click the link to see the videos. This summary was created and based upon the perspective of I'm Holistic. The entire contents of this website are based upon the opinions of I'm Holistic, unless otherwise noted. Individual articles are based upon the opinions of the respective author, who retains copyright as marked. The information on this website is not intended to replace a one-on-one relationship with a qualified health care professional and is not intended as medical advice. It is intended as a sharing of knowledge and information from the research and experiences of I'm Holistic. I'm Holistic encourages you to make your own health care decisions based upon your research and in partnership with a qualified health care professional. America is Infected is illuminating, empowering, heart wrenching and quite honestly gave me a new found spark of hope. For so long my own journey has led me to research ideas, tests, protocols and programs. Many may seem out of the box, not the standard way and that is ok with me; however, it is inherently impossible to have a conversation about any of it with a doctor as of yet. But if you want to live wouldn't you try everything? Ask every question? Seek to understand? If there was a test that could give you more information, would you not want to know more about it. This book gives me hope that there are doctors out there that we can go to, we just need to dig a little deeper. When you are trying to heal from the inside out it can be difficult to find a doctor who believes you can. If you are suffering from a degenerative issue, psychological, consistent infections, headaches, chronic fatigue, anxiety, depression, memory loss, body aches and pains, arthritis, ibs, chrons, ALS, Post traumatic stress, Gulf War syndrome, MS, Alzheimers, Dementia or other disorder.. are all finding one thing in common... Mycoplasma. 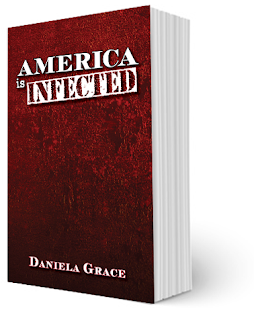 America is Infected is a story of one mom's commitment and dedication to helping her children no matter the odds. Furthermore she offers proof that her issues and her children stemmed from a bacteria known as mycoplasma. I recommend this book to anyone who is looking for more answers into how to heal themselves, their family or friends from the inside out. Understanding the core reason to your problems offers one more key to a better day. 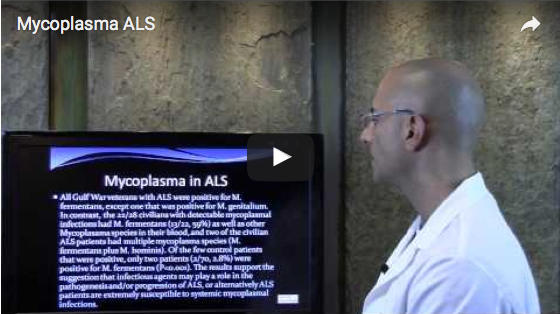 ALS our Fight for Answers - What is Mycoplasma? Something everyone needs to start researching about if you haven't already... MYCOPLASMA. What's Mycoplasma... that's what we said, and why hadn't any of our doctors suggested we be tested for it? Here's one video to get your introductions started. For the past 15 months I have been helping heal someone with ALS, Lou Gherigs Disease via all natural, organic means and she continues to get better everyday. ALS is a terribly debilitating disorder ... it can completely take over your life leaving you immobile without the ability to speak.. literally with no control over your own body. Imagine being confined to a bed 24hours a day, imagine not being able to truly communicate what you are thinking and what you are feeling. Imagine you are told by the doctors you would not make it through the night, only to make it thru.. to then be told you would not make it past the next 6months and then you do. They say you won't speak again, two weeks later you start making sounds. They say your hair cannot grow, your nails cannot grow and that your diaphragm will stop working... to only prove that they can and it does. 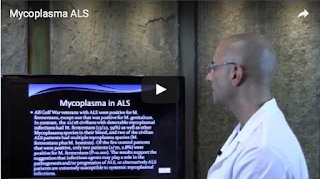 If you are suffering from ALS there is hope, there are many things you need to know, to research, to understand and to get tested for before you result to methods that may compromise your immune system. I will be journaling our discoveries under the label ALS. Make sure to check back for new blog posts and discoveries. Save Your Voice & Boost your Immunities. Try Superior Vocal Health's All Natural, Organic Spray.